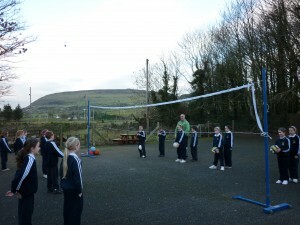 In 2010, Ransboro National School was the first school in Connaught, and the fourth school in the country, to be awarded the Active School Flag. We are currently working on the renewal of this flag, which will be valid for a further two year period. The Active School Flag is awarded to schools who engage in a process of action planning and implementing projects in the school, which encourage and develop physical activity in the pupils and the school community. Along with the regular physical activity such as P.E classes, Ransboro National School showed evidence of a wide range of extra curricular activities across many sports such as basketball, volleyball, golf, swimming and many more. 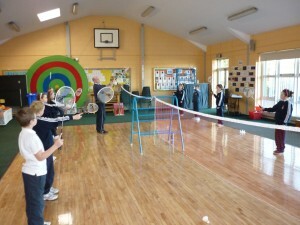 Our “Friendship Squad” on the yard was also commended as being a unique and valuable asset and effective means of promoting enjoyable physical activity among our pupils at lunchtime. 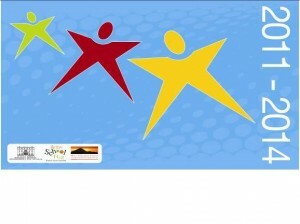 Our links with local community sporting groups was also acknowledged.